Thick fog influenced departure and landing times for flights at domestic airports of Vinh, Hai Phong in the early morning of March 3. In particular, flights of the low-cost carrier- Vietjet from Ho Chi Minh City to Hai Phong/ Vinh had to land at Noi Bai International Airport. Additionally, other flights from Vinh city to Ho Chi Minh City had to cancel due to the bad weather. 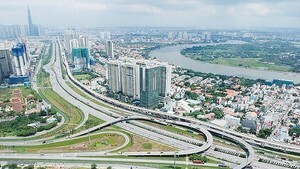 Vietjet announced to have four flights from Vinh/ Hai Phong to Ho Chi Minh City today. According to the Civil Aviation Authority of Vietnam, thick fog and deep cloud annually hit the northern region at the end of February and March affecting to departure and landing of the flights.